A compact printing solution with in-line finishing. 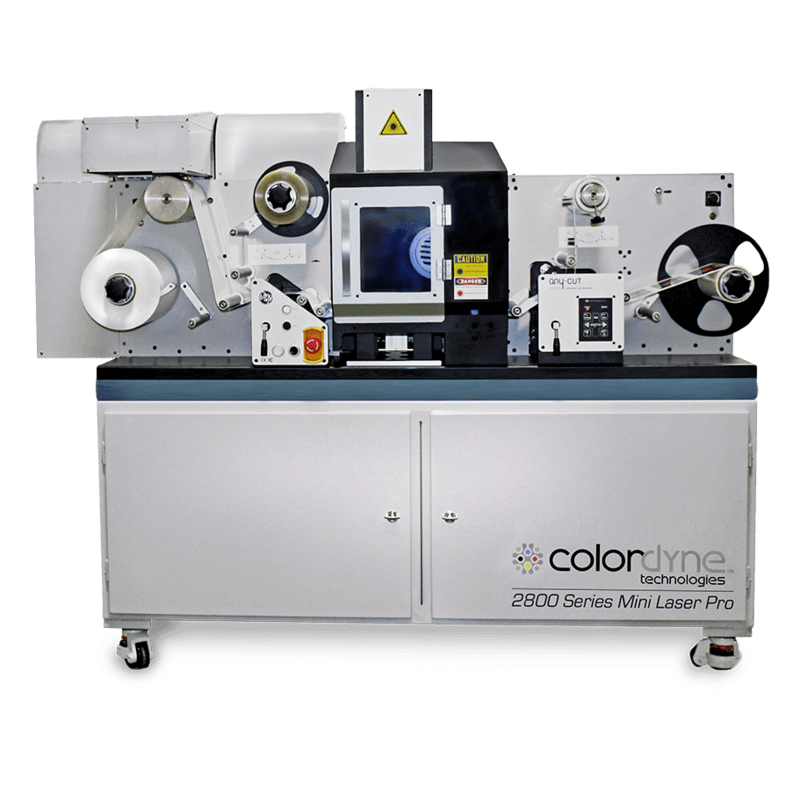 The Colordyne 2800 Series Mini Laser Pro makes creating professional-quality custom and personalized labels in today’s continuously changing and fast-paced production environment quick and easy. This complete color laser label printer with its in-line printing allows users of all skill levels to produce even the most complex images and shapes without the complexities of operating a traditional label press. The 2800 Series Mini Laser Pro, powered by Memjet® technology, allows users to print what they need, when they need it, all while eliminating the delays and waste associated with outsourcing. End users like, brand owners and private label manufacturers, have the capabilities to build a more affordable, flexible and responsive label production environment. Want to get the most out of your 2800 Series Mini Laser Pro? Check out our Art & Design Guidelines to achieve the highest quality labels. Looking for help with Adobe Illustrator? Our Lynda.com – Adobe Illustrator – Beginner Training Recommendations guide will take you in-depth with curated videos from Lynda.com to teach you everything you need to know to design great labels with confidence. Choose from one of our promotions on the 2800 Series Mini Laser Pro now through September 27, 2018.